This page is relevant if you have installed Crowd as a Windows service. You may want to change the user under which the Crowd Windows service is running, for security reasons. Navigate to the service: Control Panel -> Administrative Tools -> Services. 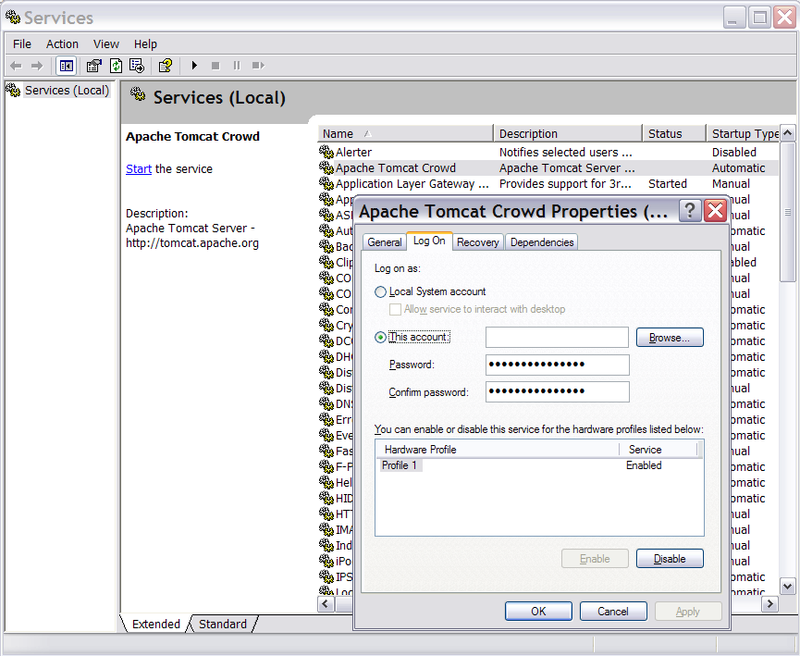 Locate the 'Apache Tomcat Crowd' service, right-click and view the 'Properties'. Go to the 'Log On' tab and change the user as desired.